Businessman And Businesswoman Are Change A Watch And A Coin Towards Each Other. Clip Art Libres De Droits , Vecteurs Et Illustration. Image 111976611. Banque d'images - businessman and businesswoman are change a watch and a coin towards each other. 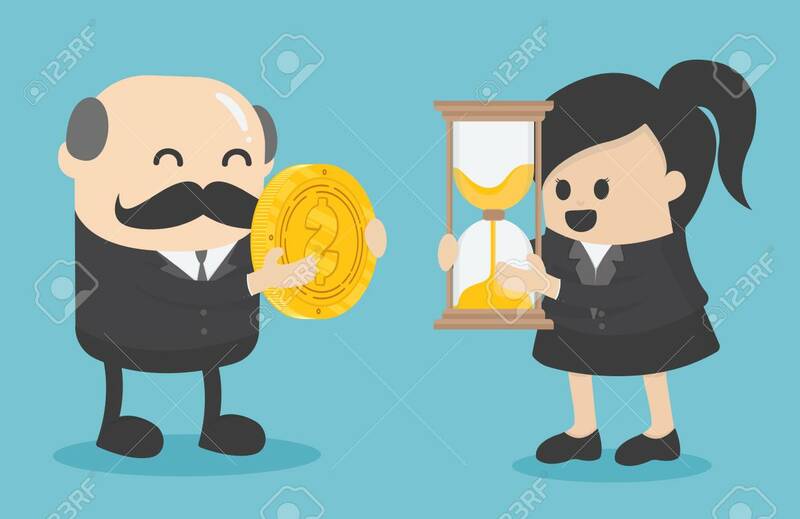 businessman and businesswoman are change a watch and a coin towards each other.